I.L. Motorsport wind blockers MAZDA - MiataRoadster - Stay tuned with MiataRoadster! I.L. 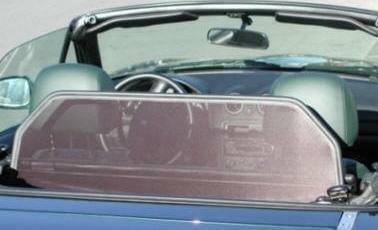 Motorsport’s wind blockers are manufactured specially for Miatas. Compatible with style or roll bars and glass windows. Fits to the sides of the seat belt towers and pivots on its mounting brackets. When you don’t want to use it, it just lays flat on the rear shelf. Choose from black or tan frame to match the factory interior.